USDJPY is under the influence of some economic data such as Machinery Orders MoM in Japan and Monthly Budget Statement in the US. The support rests at 110.020 with resistance at 110.410 which the weekly pivot point at 110.080 is located in between the lines. 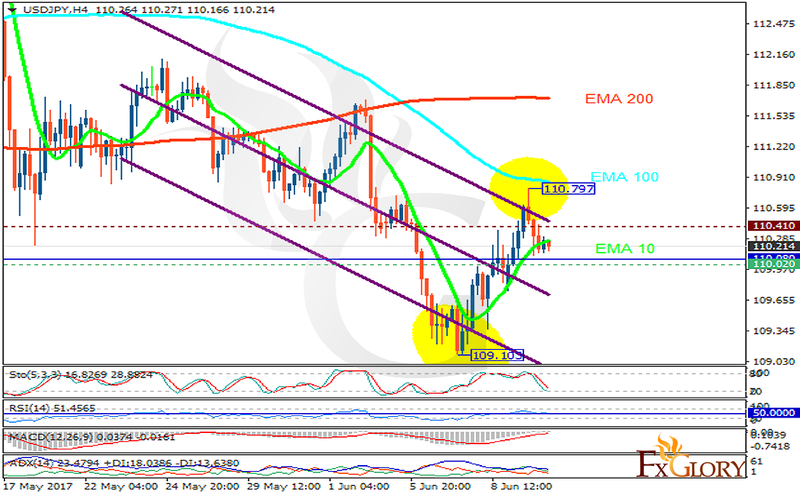 The EMA of 10 is moving with bullish bias but it is below the EMA of 100 and above the EMA of 200. The RSI is moving on the 50 level, the Stochastic is moving in low ranges and the MACD indicator is in neutral territory. The ADX is not showing any clear signals. Currently the price is falling down towards the 110 area however, the 110.5 level breakout will be a good sign for buyers since the pair will continue its bullish trend.